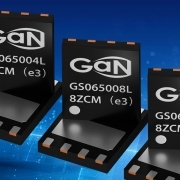 OTTAWA, Ontario, Canada, March 5, 2019 – GaN Systems, the global leader in GaN (gallium nitride) power semiconductors, today announced the availability of the GS-065 low current (3.5A to 11A) transistor line. The product suite, developed for sub-1kW power applications, is targeted for consumer level power supply products such as AC adapters for gaming and workstation laptops, TV power, LED lighting, wireless power systems, and appliance motor drives. This new transistor line leverages GaN Systems’ technology leadership in 650 V enhancement mode GaN HEMTs. The devices are packaged in thermally efficient, low cost PDFN packages with small 5.0 x 6.0 mm footprint. The specific device ratings are 3.5 A, 8 A, and 11 A, ranging in RDS(on) from 500 mΩ to 150 mΩ. Design benefits include low inductance, 5×6 footprint, and the three parts in the same footprint. Unlike some suppliers who offer integrated solutions, GaN Systems offers a range of discrete devices to maximize design freedom, accommodate varied power levels, and allow power system engineers to maintain design control and change parameters to meet specific requirements such as EMI emissions. Refer to article, “Integration or Optimization…which comes first?” for an in-depth analysis. With the introduction of GaN Systems’ evaluation kit for these devices, the EZDriveTM circuit is introduced which demonstrates a circuit design that eliminates the need for a discrete driver. The result is a low-cost solution that offers more design flexibility, reduces the number of components, and is easy to implement all while providing the many benefits of GaN. It is adaptable to many power levels, switching frequencies, and LLC/PFC controllers. 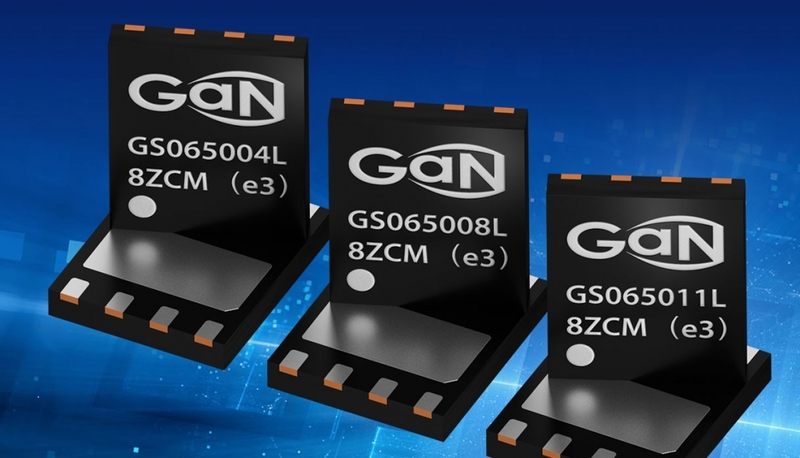 GaN power transistors enable improved and new system designs for sleeker and lightweight electronic devices, faster charging systems, and more. For example, using GaN transistors result in AC adapters that are five times smaller and wireless charging solutions that have 50 times more wireless transfer transmit power. “Combining our reliable GS-065 products with the EZDrive circuit empowers designers to easily take advantage of GaN by helping them achieve the power densities they want and offering the flexibility they need. For appliance customers, these devices offer great efficiency and large-scale SMD manufacturing benefits,” says Larry Spaziani, Vice President of Sales & Marketing at GaN Systems. 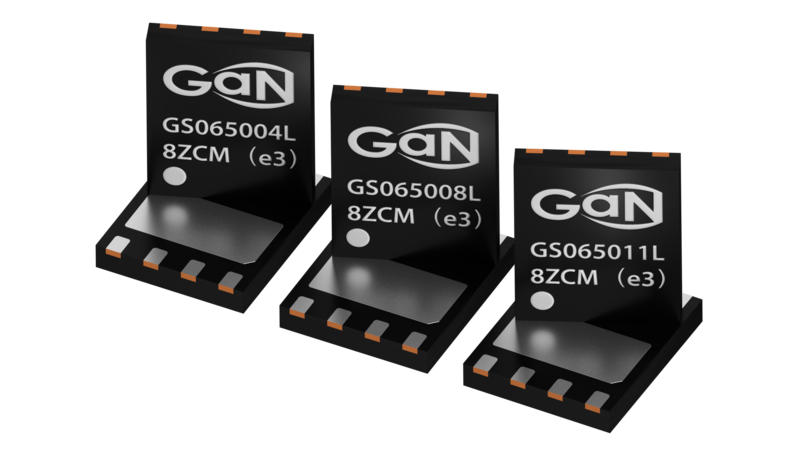 GaN Systems is displaying its family of wireless power amplifiers and several wireless power implementations at the Applied Power Electronics Conference (APEC) in Anaheim, Calif. on March 17-21, 2019. For more information, please visit GaN Systems at APEC in GaN Systems Booth 553 or contact a local representative.